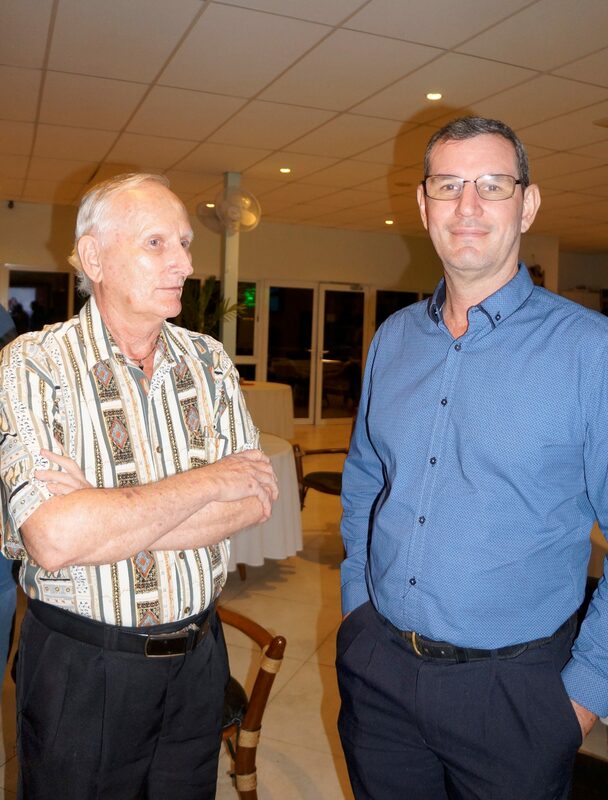 Air Niugini and its subsidiary company, Link PNG held a meeting with representatives of their business partners in Madang recently to update the business community on their general business operations as well as future plans. Link PNG General Manager, Bruce Alabaster and Air Niugini’s General Manager- Customers and Markets, Dominic Kaumu outlined the two airlines’ future developments including new products available to make travel easier, on time performance, increase frequencies, seat upgrade and route expansions among others. Mr Alabaster said Link PNG a Dash 8 operator is focus on providing safe and cost effective air travel to the regional towns, cities and the resource industry. Besides its existing routes, he said Link PNG is working closely with the airport authority and Provincial Governments to have several other airports upgraded so that they could allow Dash 8 to operate to these communities. Link PNG currently operates services to Tari, Moro, Komo, Wapenamanda, Mendi, Tabubil, Goroka, Madang, Wewak, Vanimo, Rabaul, Hoskins, Kiunga, Daru, Lihir, Kieta, Bulolo and Popondetta. Mr Kaumu said with the current focus on making Port Moresby the hub of the Pacific, Link PNG’s vision is very important for the mother company as it feeds passengers from the remote areas, who are picked up by Air Niugini for the main domestic ports and also the overseas leg of travel. Air Niugini is on a planned Customer Service program to improve services throughout the domestic network including the opening of new executive club lounges and improvement of the current ones. So far, there are nine paradise lounges in the domestic network including Mount Hagen, Lae, Tokua, Madang, Kieta, Wewak, Goroka, Hoskins and Port Moresby, two of which are under construction at this stage. ANG has over 5, 000 executive club members. For Madang passengers, there are two Air Niugini and Link PNG flights in a day with connections to and from 53 Air Niugini international destinations in a week. Regular meetings are arranged with the business communities to allow opportunity for the Airline Management to hear directly from business communities and customers on their thoughts, opinions and experience relating to the operations of Air Niugini and its subsidiary company. The feedback from customers helps the airlines to better serve their customers. The President of the Madang Chamber of Commerce, Kevin Murray said such a meeting is informative. It ensures customers are better informed so that they can make right decisions when traveling.